When it comes to geomagnetism the gradualist Earth Scientists are happy to assume the magnetic field of the Earth occasionally performs 180 degree flips. This happy assumption has a few very beneficial side effects. Firstly, the embarrassing, non-conformist 180 degree flip is cordoned off and strictly quarantined in the realm of Geomagnetism. Secondly, the quarantined 180 degree flip can be encapsulated in a conceptual model that is safely entombed deep inside a conceptual Earth. It was possible to show the generation of a strong, Earth-like field when the model assumed a uniform core-surface temperature and exceptionally high viscosities for the core fluid. Computations which incorporated more realistic parameter values yielded magnetic fields that were less Earth-like, but also point the way to model refinements which may ultimately lead to an accurate analytic model. Slight variations in the core-surface temperature, in the range of a few millikelvins, result in significant increases in convective flow and produce more realistic magnetic fields. Thirdly, this boys and their toys approach to geomagnetism provides plenty of opportunities to tinker with an imaginary dynamo and tweak conceptual models. Is the Earth’s magnetic field regaining it’s equilibrium after a catastrophic event? Is the Earth’s magnetic field preparing for another [envisioned] 180 degree flip? In 2018 the realm of Geomagnetism was disturbed by results showing Southern Africa performed a “coherent loop” of 360 degrees between [about] 425 and 1370 CE. The new results define a coherent loop in the archeomagnetic curve for southern Africa between ca. 425 and ca. 1370 CE. In other words, the earliest site (SL, 400–450 CE) shows directions that are statistically indistinguishable from those more than 900 years later (AD 160, 1317–1415 CE). Unsurprisingly, the realm of Geomagnetism has concluded it needs more modelling. Rummaging through the [above] paper there are references to some very familiar events. ○ The Arabian Horizon is a period of “relatively rapid change between the sixth and seventh centuries CE. ○ The Hecker Horizon is a period of “rapid directional change between 1225 and ∼ 1550 CE” with “a sharp intensity drop (0.054 μ T/yr) after ca. 1270 CE”. 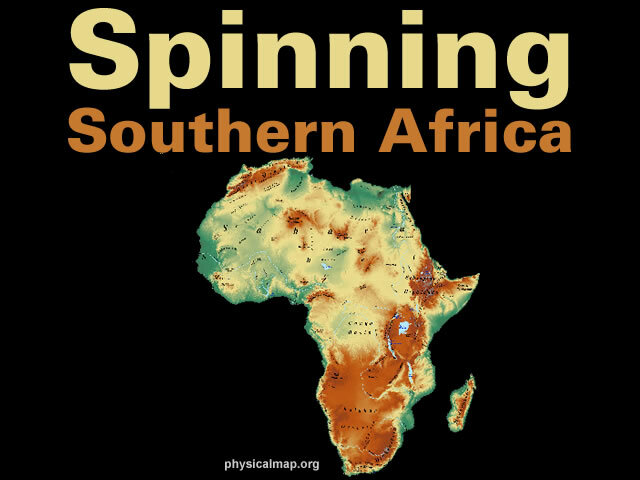 The first clue that the mainstream geological and geomagnetic history of Africa has missed a trick is the Central African Shear Zone which suggests Northern Africa and Southern Africa are geologically sutured together. The Central African Shear Zone (CASZ) (or Shear System) is a wrench fault system extending in an ENE direction from the Gulf of Guinea through Cameroon into Sudan. The structure is not well understood. The term was borrowed from surgery where it describes the sewing together of two pieces of tissue, but the sutures of the skull, where separate plates of bone have fused, may be a better metaphor. The second clue that the mainstream has missed a trick is the Al-Mas‘udi world map which clearly indicates Northern Africa and Southern Africa were once separate land masses. Al-Mas‘udi (c. 896–956) was an Arab historian, geographer and traveler. He is sometimes referred to as the “Herodotus of the Arabs”. 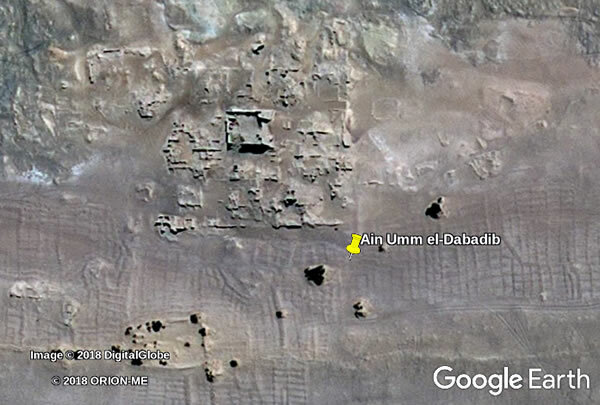 The mainstream dating of the Al-Mas‘udi world map is 947 AD. However, the Al-Mas‘udi world map is more likely to have been drafted before 853 CE because there is [at least] a “mismatch of 94 years” between the Christian and Islamic calendars. Meadows of Gold and Mines of Gems is an historical account in Arabic of the beginning of the world starting with Adam and Eve up to and through the late Abbasid Caliphate by medieval Baghdadi historian Masudi. A first version of the book was allegedly completed in the year 947 AD but the author spent most of his life adding and editing the work as well. Working backwards in time it appears the Nile river dataset that ends in 1480 AD is aligned with 1386 CE in Leona Libby’s chronology i.e. a mismatch of 94 years. Therefore, it’s probable the 94 year mismatch identified in the Nile river dataset is partly associated with the religious nature of calendars and partly caused by the gradualist settled science belief that the Earth’s orbital period has been constant since [at least] 46 BC. The evidence falsifies the gradualist assumptions of the Earth Scientists. And the Al-Mas‘udi map also helps explain why the climate in much of Northern Africa and Southern Africa changed so dramatically when these land masses became sutured together. 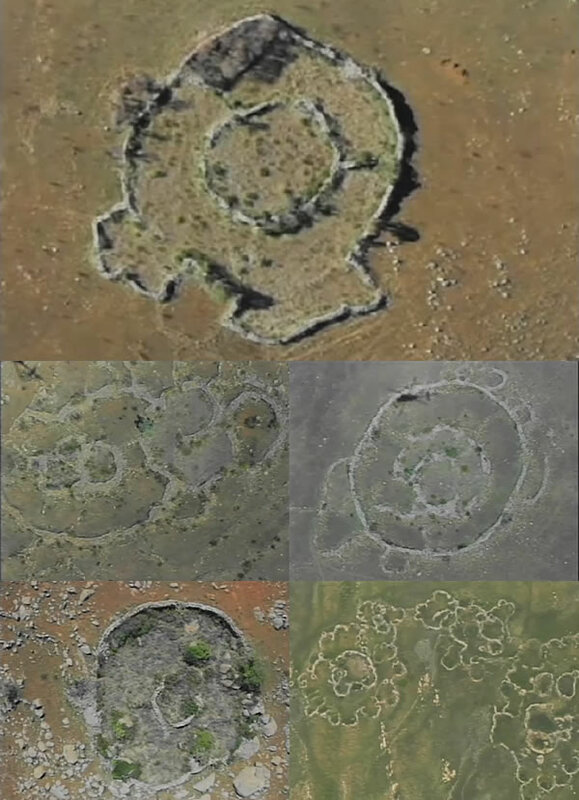 … the profusion of circular stone structures coupled with the remains of the the Great Zimbabwe city suggest South Africa was once densely populated. Gradualist Historians have problems finding acceptable locations for the Biblical Havilah and Ophir which are [both] associated with gold and King Solomon. Havilah was the auriferous land whence came the ‘gold of Ophir,’ and Havilah is here identified with Rhodesia, the mineralised region between the Lower Zambesi and the Limpopo – Mashona, Matabili, and Manica lands. But it’s debatable whether burnt grain bins and houses really represent ritual cleansing. In traditional Bantu-speaking societies in southern Africa, drought is caused by breaches in rules of pollution. At times of severe drought (3–5 consecutive seasons), rainmakers ascend special hills to perform special rituals. The archaeological signature of this unique activity forms a cultural proxy for drought. New research shows that burnt daga structures also correlate with high δ15N values for small stock. Burnt structures thus form a new component to the proxy. According to the ethnography, farmers implicated in the cause burnt their grain bins, and sometimes houses, as a ritual of cleansing. In this wonderful example of the Mainstream Mindset it appears that for 4,000 years there was “a widespread and long-lasting tradition” of deliberately burning down entire settlements every 75-80 years in Southeastern and Eastern Europe. As always: Earth Scientists and mere mortals are free to draw their own conclusions. Hat Tip: Yves and Clark Whelton. Gallery | This entry was posted in Arabian Horizon, Catastrophism, Enigmatic Egypt, Geology, Geomagnetism, Hecker Horizon, History, Old Japanese Cedar Tree, Roman Chronology, Uniformitarianism, Vitrified Hill Forts. Bookmark the permalink. Thanks for posting this as I was somewhat flummoxed by the article and exactly what it might imply. The problem is did the geomagnetic field remain fixed in orientation and the land masses moved, or did the landmasses remain stable and the geomagnetic field moved around? And how could tell the difference? Ultimately it’s the origin of the geomagnetic field that needs to be understood, Internal or external causation. A controversial history of Southern Africa was by James Michener and his book The Covenant. The population explosion seemed to start from the Maunder Minimum period when a mass migration of Zulus from the north to south, the Boer migration from Cape Town to the Limpopo, and the British invasion at the south. While the article itself is certainly very interesting, and contains much to think about, there was one thing I feel I should mention. In the early 20th century, some “historians” “discovered” the site, and then found some locals, and showed it to them. They asked them what they called ti, and the reply was “zimbabwe”. But this just means “building made of stone”(which differed from the grass huts that they made). And, this is not at all unique to ‘Great Zimbabwe’. There are many structures all over the world that are well-known)and popular tourist attractions) that were certainly only built in the 19th or 20th centuries, and then declared to be far older than they are. This then helps with the Official Historical Narrative about how they have stood for “thousands of years”, making everyone happier, and nobody questions what was really going on in the past. Makes no sense to me, I was looking at the sea floor in high definition and looks like that this region was hitten by a bikerland current because it is in spiral. My guess here is that the huge electrical discharge changed the polatiry in some days or hours. I can see that pattern in many places on earth. The discharge hits and start creating a electrical mountains around it. Check Greece and Romania and there is another quite clear on the pacific sea floor. A more radical interpretation of the Nile Level data based upon an Arabian Horizon alignment suggests there is a 160 year mismatch between the Christian and Islamic calendars. This alignment would date the Al-Mas‘udi world map to [about] 787 CE. yes, you are right. Earth is expanding from small size. may be 2500km diameter. Please look Mars. You will find more evidence of expansion. 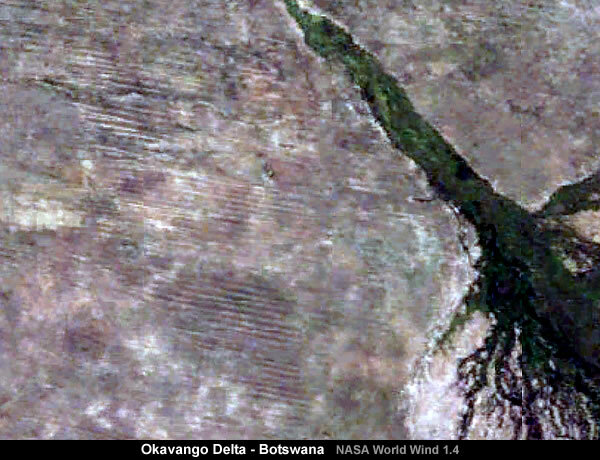 The world largest ancient agricultural wide-area irrigation array can be found in NorthWestern Botswana and NorthEastern Namibia, north of the Kalahari Desert in Southern Africa. There is a network of over 100,000 miles of straight canals which cover an area around the size of Arizona. Must have been a huge population there to need that much food production.